5:00-6:00 p.m.: Welcome Reception. Meet at the Dentzel Carousel House in Highland Park. Immediately following the Carousel “Meet and Greet,” everyone is invited to the Meridian Temple Theatre at 2320 8th Street, Meridian 39301 for a casual, catered buffet supper in an authentic, second-floor, prohibition-era “Speakeasy,” courtesy of Temple Theatre Manager/COAA member Roger Smith. At 6:45 p.m., members are invited to take a reserved seat in the auditorium for a live, high-energy country music concert featuring opening act “Davis County Band,” followed by a fantastic concert by Country Music legend, recording star and Meridian native Moe Bandy (moebandy.com)! Roger has generously provided a block of great reserved seats just for COAA members at no charge (regularly $30 ticket). Come and share some COAA fellowship and food provided by Meridian’s oldest and most famous restaurant, “Weidmann’s.” We do hope you will stay for the concert. And…the Temple Theatre “Speakeasy” will be open to COAA members after the concert, should anyone wish to stay up late! Otherwise, your evening is open. NOTE: The COAA Host Hotel Hospitality room will not be available until Friday after 4:00 p.m., room to be announced. 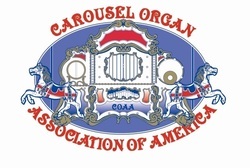 9:00 a.m.-4:00 p.m.: Soule’ Live Steam Festival/Meridian RailFest/COAA Rally: Placement of individual organs will be coordinated by your hosts on the Festival site. Please plan to be ready to play when the event begins at 9 a.m. as we usually have a number of school groups touring on Friday. Festival volunteers and COAA participants will have access to the Museum Hospitality Suite each day. The suite will be stocked with great snacks, bottled water, and soft drinks. ​Immediately following the Carousel “Meet and Greet,” everyone is invited to the Meridian Temple Theatre at 2320 8th Street, Meridian 39301 for a casual, catered buffet supper in an authentic, second-floor, prohibition-era “Speakeasy,” courtesy of Temple Theatre Manager/COAA member Roger Smith. At 6:45 p.m., members are invited to take a reserved seat in the auditorium for a live, high-energy country music concert featuring opening act “Davis County Band,” followed by a fantastic concert by Country Music legend, recording star and Meridian native Moe Bandy (moebandy.com)! Roger has generously provided a block of great reserved seats just for COAA members at no charge (regularly $30 ticket). Come and share some COAA fellowship and food provided by Meridian’s oldest and most famous restaurant, “Weidmann’s.” We do hope you will stay for the concert. And…the Temple Theatre “Speakeasy” will be open to COAA members after the concert, should anyone wish to stay up late! Otherwise, your evening is open. NOTE: The COAA Host Hotel Hospitality room will not be available until Friday after 4:00 p.m., room to be announced. 9:00 a.m.-4:00 p.m.: Soule’ Live Steam Festival/Meridian RailFest & COAA Rally: Soule’ Live Steam Festival/COAA Rally: Saturday is the big day for the Festival with thousands of visitors coming in from around the country. IMPORTANT: Please be in place and ready to play when the doors open at 9:00 a.m.! 6:00 p.m. -- “BBQ at the Temple.” This traditional “after glow” catered meal is where your hosts say “thank you” to all who have made the weekend’s events possible: volunteers, demonstrators and especially our COAA Rally participants! 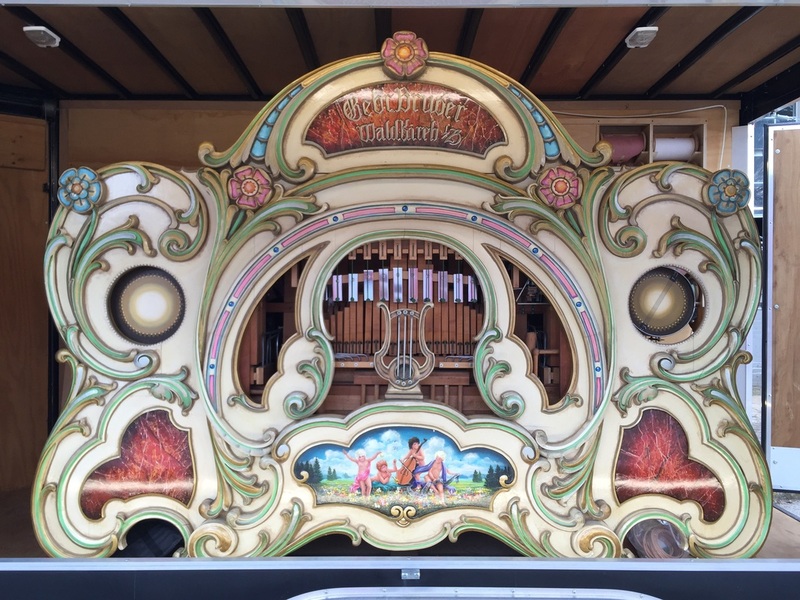 If you have an organ and it fits through the doors (and you are not cranked out) … feel free to bring it! A short silent movie with Mighty Morton theater organ accompaniment will be available for your enjoyment after the meal. The COAA Hospitality room will be open from about 6:15 p.m. until midnight and will be stocked with great snacks, bottled water, adult beverages and soft drinks. Co-hosts Roger Smith, Jean Orcutt and Greg Hatcher look forward to welcoming you to Meridian!